In 1966, Gérald Bélanger founded “Produits Bélanger”, which later became Bélanger UPT. 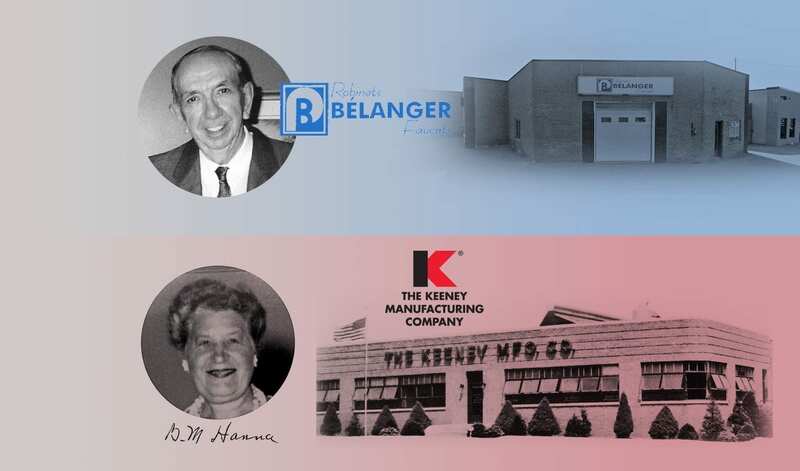 When the company changed hands in 1993, it became the property of The Keeney Manufacturing Company, founded by Mrs. Bertha Hanna in 1923. In 1975, Bélanger opened their warehouse in Lachute, Québec, which worked in conjunction with the offices located on St-Laurent Boulevard in Montreal. Over a decade later, in 1988, Bélanger introduced “Robinets Bélanger” (Belanger Faucets) to the retail market with the 30-series, which is still sold today. In 1990, Bélanger became the first Canadian company to market the single lever shower valve, equipped with a ceramic cartridge. In 2004, Bélanger launched a new brand image and moved to Abrams Street, where it is still located today. In 2007, Bélanger UPT introduced the Quik and H2flo brands to the wholesale market. 2008 marked the launch of their first website; www.belanger-upt.com. The brands Essential and Essential Style were introduced in 2010. For its 50th anniversary, Bélanger UPT updated its corporate logo in 2016 and in 2017, launched a brand new website. That same year, Bélanger expanded by opening a new showroom and warehouse in Mississauga, Ontario. All this is only the beginning!